The history of PokerStars starts in 1999 when a former IBM programmer from Israel named Isai Sceinberg, and his two sons, established the company and began developing the sites poker software. In September 2001, Terrance Chan (then working PokerStars customer support) announced on the RGP forums this new poker site was available for beta testing. It didn’t take long for PokerStars.com to become one of the largest brands on the net. Due to a freeroll promotion they pushed on RGP, a then popular poker forum, the site already had a lot of traffic before real money play began in December 2001. Perhaps the biggest reason for PokerStars early success, outside the strong prelaunch marketing, was their poker software. This software, which still sets the bar other online poker sites strive for, was like nothing anyone had seen before. 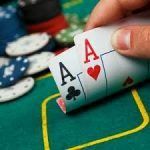 Prior to PokerStars launching, online poker sites had old buggy software that occasionally shipped pots to the wrong player, would freeze up causing time outs and lacked anything but the most basic features. 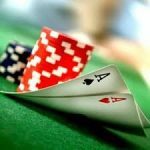 While software was the main selling feature, PokerStars.com also did a solid job gaining players trust. 2001 was a time where many players had been burned due to start up poker sites failing, so any new online poker site was heavily scrutinized. Knowing this a strong management team was assembled with 1983 WSOP Main Event Champion Tom McEvoy as the main spokesperson and other known poker community members working support. PokerStars also went to great lengths to attract professionals to their site, including setting up a pro only table which at $50/$100 limit hold’em was then the highest stake game played online and likewise had the biggest rail fan base watching. In late 2002 PokerStars.com reached status as the second largest online poker site trailing only PartyPoker. At the time PokerStars.com had an average player volume around 7,000 simultaneous players while PartyPoker was hovering around 11,000. Close on their tail was Paradise Poker and PokerRoom.com, but PokerStars would widen their margin massively thanks to promotions they ran for the 2003 World Series of Poker Main Event. 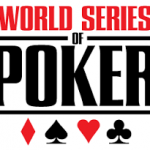 The 2003 World Series of Poker $10,000 buy-in Main Event set a record for the most ever entrants at 839 players. This was 208 more players than the record set the previous year. The increase came due to poker becoming more popular and also due to satellite tournaments held at online poker sites. PokerStars fielded approximately 40 players that year to the Main Event and then hit the jackpot when a 27-year old accountant from Tennessee named Chris Moneymaker became the 2003 World Champion of Poker. What made this run so impressive is this was Moneymaker’s first ever live tournament. He won his seat after investing just $39 into a PokerStars satellite. After entering the final table of ten with a huge chip lead, he outlasted a stacked table of opponents that included the likes of Phil Ivey, David Singer, David Grey, Amir Vahedi, Jason Lester, Dan Harrington and Sam Farha to claim the $2.5 million dollar first place prize all while decked out in PokerStars gear including a hat, jacket and t-shirt. The 2003 WSOP Main Event final table became televisions most aired poker broadcast with reruns near daily for the years to come. What ensued from here is something no one could have imagined. The record of 839 entrants set the year before was shattered in 2004 when 2,576 players showed up for the $10,000 buy-in main event. This created a $5 million dollar first place prize and once again a player who won his seat on PokerStars.com this time Greg Raymer, captured the prize. None of the trends stopped as in 2005 the record was again shatter with 5,619 entrants (more than 1/3 of which won their seat at PokerStars.com )and Joe Hachem took the $7.5 million dollars prize and became the Main Event’s third consecutive winner who won their seat to play via PokerStars. 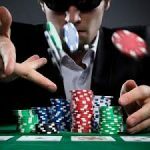 The exposure PokerStars gained through the World Series of Poker helped them bridge the gap between their closest competitors and before long Party Poker and PokerStars.com were in a back and forth battle for title as world’s largest poker site, each holding a near 3-to-1 lead over PokerRoom.com which sat in a distant third place. In 2004, fresh off the hype of the Chris Moneymaker win, PokerStars launched their first live tournament called the PokerStars Caribbean Adventure (PCA). This was a televised event, initially part of the World Poker Tour (WPT). 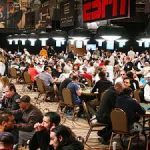 The television broadcasts gave PokerStars a huge boost for much the opposite reason as the World Series of Poker broadcasts did. This was because rather than an amateur who won their seat online winning, it was Gus Hansen the only man on the circuit with two World Poker Tour wins (then only in its second season) victorious as he completed one of the greatest runs in poker history winning his third WPT title. Hansen was inducted as an inaugural member in the World Poker Tour walk of fame later that year along with Doyle Brunson and James Garner. The 2004 PCA was a huge success and with that PokerStars decided that year to launch their own tour called the European Poker Tour (EPT). Season one of the EPT ran in 2004 and had 7 events, these events were held in Barcelona, London, Dublin, Copenhagen, Deauville, Vienna and Monte Carlo. Both the PCA and EPT are still going strong. The 2011 PCA will be held January 7-16, 2011 at the luxurious Atlantis Resort & Casino in The Bahamas, while the EPT Season 7 is now underway with 13 stops on this year’s tour. PokerStars.com has greatly expanded its live tournament offerings in recent years. They now run several live tournament circuits in addition to the EPT, including the Latin American Poker Tour (LAPT), Asia Pacific Poker Tour (APPT), Australia New Zealand Poker Tour (ANZPT), UK & Ireland Poker Tour (UKIPT), Italian Poker Tour (IPT) and the North American Poker Tour (NAPT). 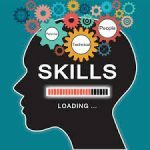 Not only in PokerStars now dominate in online poker, but they also are the fastest growing company in the world of live high stakes poker. In fact they even have their own live card room in Asia’s Macau located at the Grand Lisboa casino.